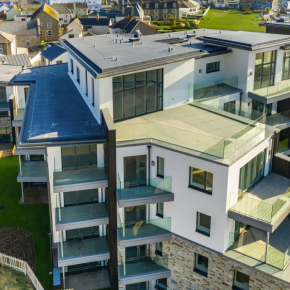 The development, in Perranporth, Cornwall, features Sika helping to create a durable solution for the roof and balconies, which can resist the testing coastal weather conditions. Despite the spectacular beach setting for the 36-property development, the problematic climate does pose issues. With the roof and balconies having to guarantee a long-lasting result, Sika Sarnafil and Sika Liquid Plastics systems were specified for the job, working together effortlessly to create the desired outcome for the project. Progressive Systems, a leading roofing contractor in the south west, carried out the installation. 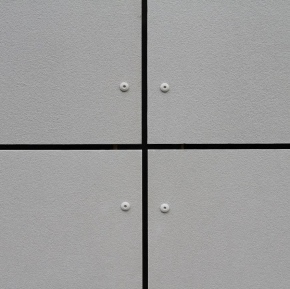 Having worked with Sika before, they suggested Sika Sarnafil single ply membrane for the roof. This was due to the adaptability of the material, which would be durable enough to resist the elements, with a look to equal the prestigious coastline location. Wind uplift calculations were provided by Sika Sarnafil to the contractors, which suggested the product be mechanically fixed to ensure the roof was able to resist the formidable weather. 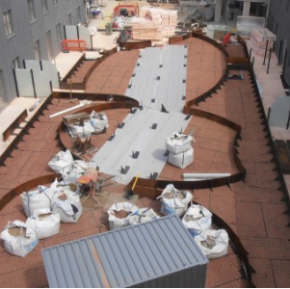 A combination of Sarnafil’s S327 18 EL Lead Grey single ply membrane with Sarnavap vapour control and SarnarTherm insulation meant the outcome was a robust roof that met the project’s requirements. 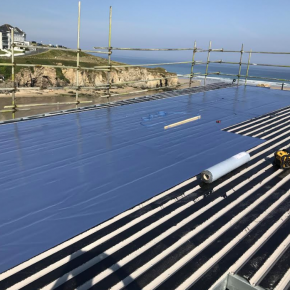 When installing Sarnafil’s single ply membrane, health and safety was top of the agenda – so much so that the disruption caused by strong winds did even cause aborted site visits on occasions. On the balconies, the installation of three-ton hot tubs meant the insulation scheme had to be designed to allow water flow around the fixed structure, while complying with the correct U-value and withstanding the weight. However, regular visits from Sika’s Field Technicians meant queries were handled directly and quickly, ensuring a successful installation and securing a 20-year guarantee for all Sika products used. Alistair Speirs, Area Technical Manager at Sika, commented: “This build presented many challenges because of its positioning on the coastline and the difficult weather. 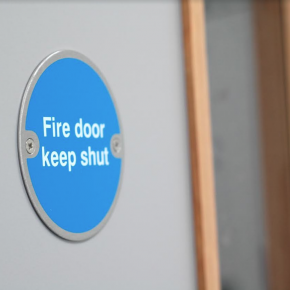 “However, the combination of Sika products along with the expertise of both the contractors and our technicians involved in the installation, meant the project was completed on time and within budget. The coastal conditions will be no match for Sika’s resilient solutions, which have been expertly installed across the roof and balconies to keep the residents of The Dunes warm and dry for many years to come.